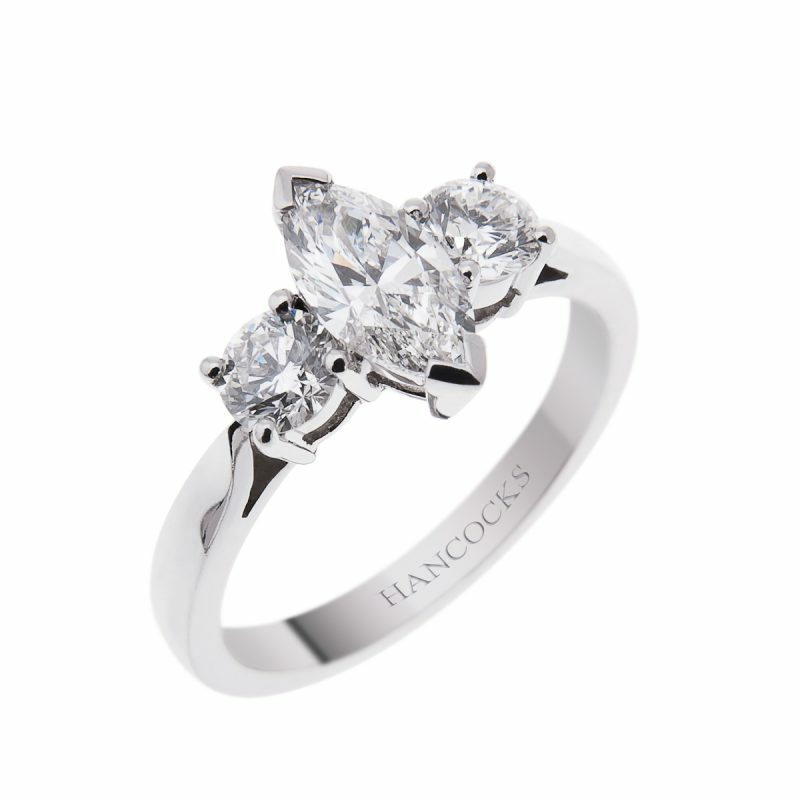 A unique three stone ring. 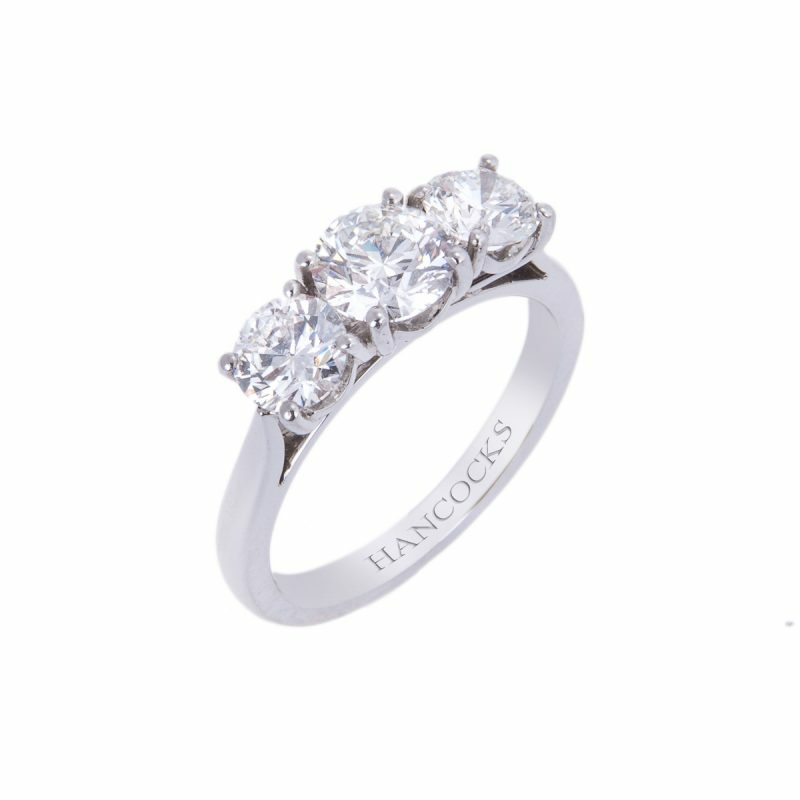 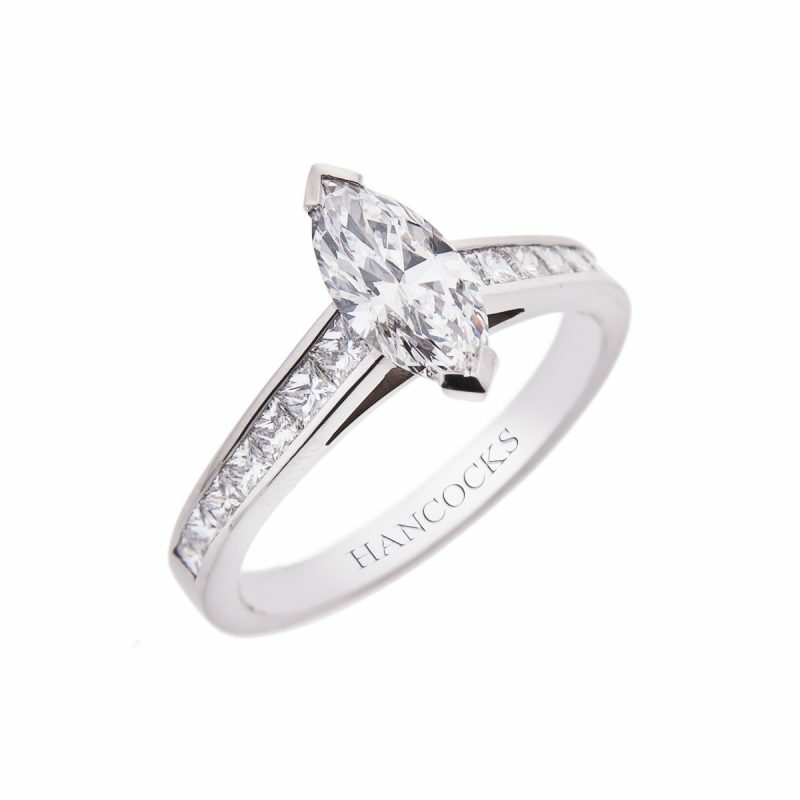 The elegant and elongated shape of the marquise cut diamond can make your finger appear longer and more slender. 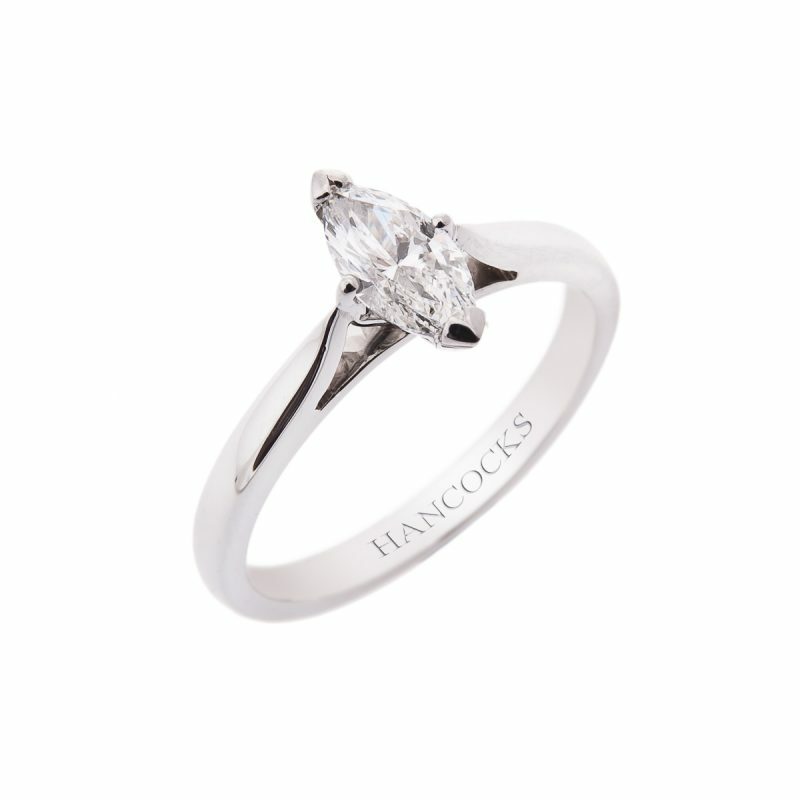 Mounted in a platinum V-claw setting to emphasise the unique profile of this 0.77ct marquise cut diamond, which is highlighted by a brilliant cut diamond on either side totalling 0.34ct, to give that extra injection of sparkle.